In Messiah, all barriers are gone. Move forward this day in that power, through every veil, wall, separation, hindrance and cherubim. Today, fully take up your mantle in Messiah. And by the power and the authority of the Spirit, step out to fulfill your high calling. Seek today to live beyond your circumstances, beyond the world, beyond the finite, in the day beyond days, in the Eighth Day. Take a promise from His Word. Believe the promise with all your heart. Step out and live your life in light of it. Put away the distractions, those things that keep you from hearing. And go into the wilderness, the midbar, and seek the voice of God. Let Messiah's life come through your life. Let His love come through your love and your life become His branching--His Nazareth. Today, focus only on one course, one path, one journey, one destination and one direction--up. Aim to go higher with every step. Move all the more away from the darkness you left. And pray all the more for the civilization in which you dwell. Come to Kaphar Nachum today. Repent of anything not in His will. Then dwell in the comfort of His presence where your miracle awaits. today, take the smallest of actions, but in a new direction, the first step toward the life of victory you're called to live--the yud of a new journey. Today, come to the wells of Yeshua, and in joy, draw forth and partake of the rivers of the living waters of the Spirit of God. Bring your most hopeless situations and issues to God. Believe God for the impossible. Live and move in the power of the impossible. Partake of the triunity of love. As God has made you the object of His love, today, make those who don't deserve it become the object of yours. The life of man is given on the sixth day. Receive your life, your breath and your new creation in the sixth day of Messiah. If the Resheet has overcome, so then can you. Today, in full confidence of the power given you on the Day of Resheet, overcome! Seek the outpouring of His Spirit on your life to touch your dry ground and make it fruitful. Prepare and receive your latter rains. Today, let every desire and ambition that is not of God be surrendered and crushed. And in their crushing, be filled with the oil of the Holy Spirit. 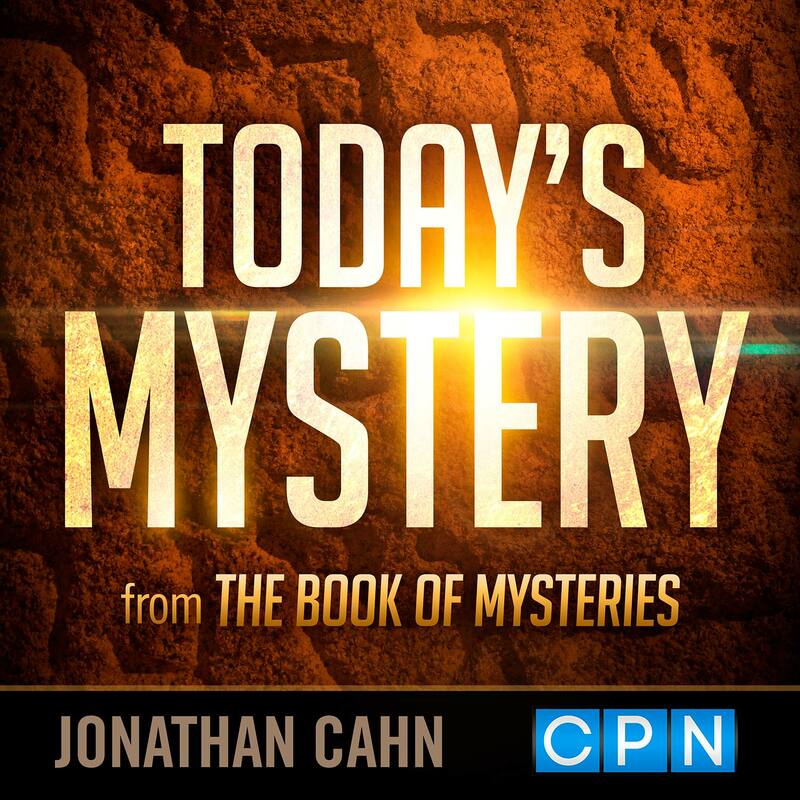 In this mystery from the Book of Mysteries, Jonathan Cahn reveals the meaning of the Hebrew word "ruach," and the identity of God's secret angels. By the Zeroah, God saved his people out of Egypt. By the Zeroah, salvation came to the world. Jonathan Cahn reveals the mystery of the Zeroah and what it means for you. More content. More podcasts. More faith. Sign up to receive our weekly newsletter for top-rated shows and exclusive interviews. Never miss a show and stay updated on everything podcast. Featuring a variety of programs to supply quality Christian content. Topics include news, leadership, inspiring stories, and even more.